Organic granulated sugar is made from sugar cane which is free from chemicals and harmful fertilizers. The ideal sugar for baking, or simply stirring into your tea. 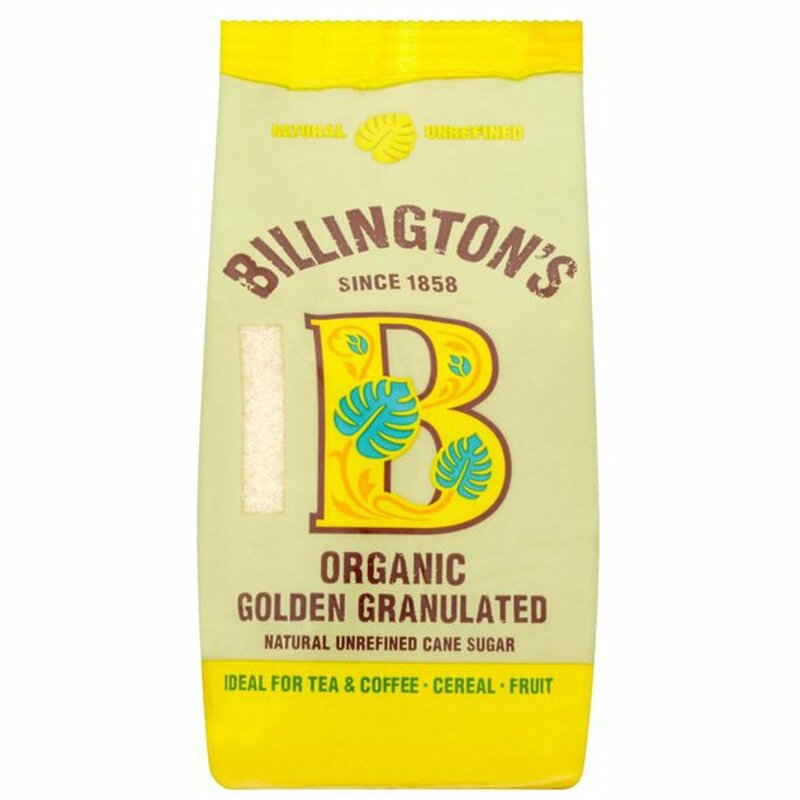 The Billingtons Organic Granulated Sugar 500g product ethics are indicated below. To learn more about these product ethics and to see related products, follow the links below. I use this sugar in tea, I find I need less than normal sugar, and it isn't bleached. I need it for baking and can't get anything organic in Northern Ireland. 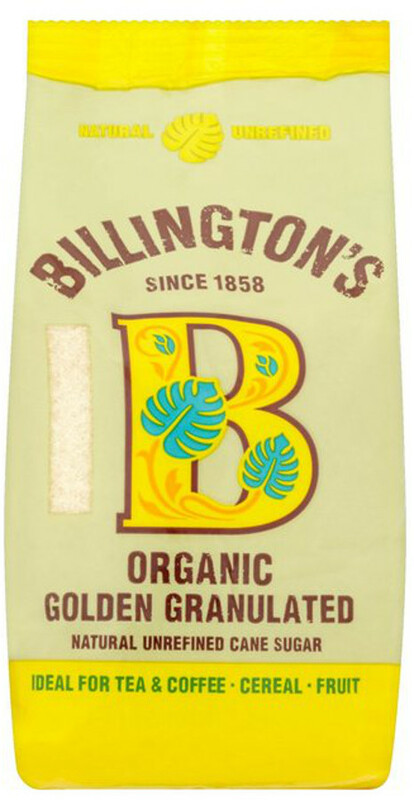 There are currently no questions to display about Billingtons Organic Granulated Sugar 500g. Billington's offers a complete range of natural, unrefined sugars to meet all your sugar needs. Whether the recipe is sweet or savoury there is the perfect sugar for you.